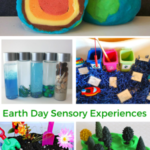 This Earth sensory table and small world activity is a hands-on learning experience that’s perfect for Earth Day. 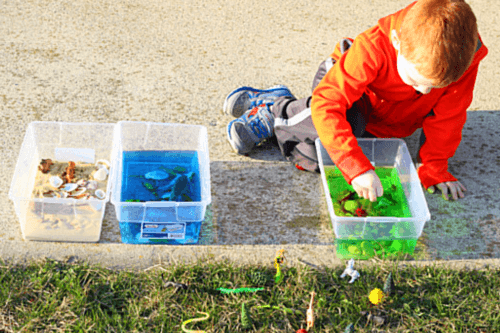 Kids will learn about habitats and more while playing! 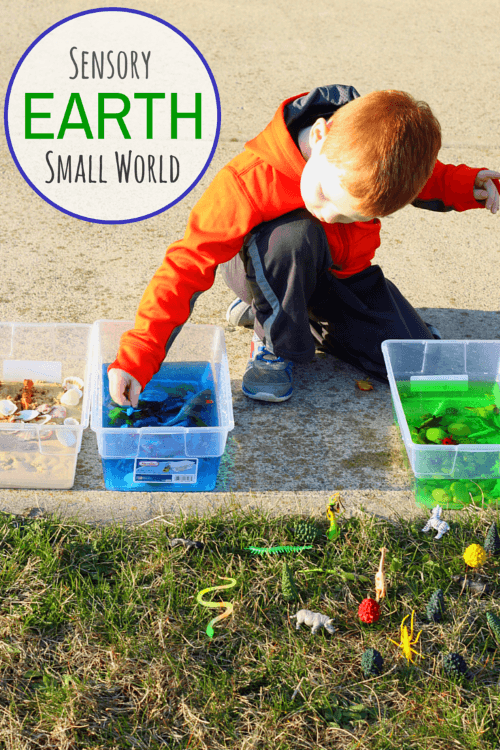 This week the Playful Preschool theme is Earth. 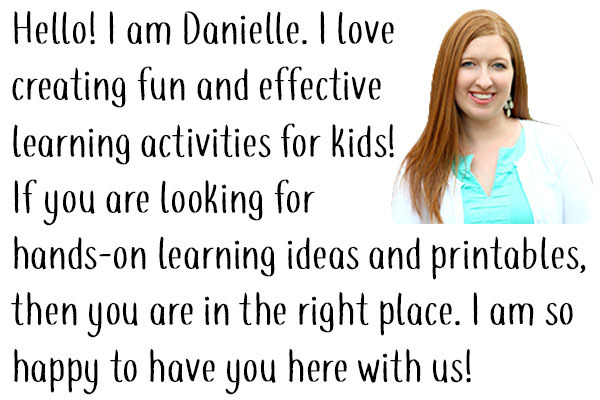 The team has a lot of fun learning activities planned for you. Check them all out below! Lately, we are enjoying lots of sensory and small world play. 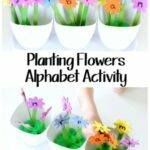 This activity occupied my kids for a very long time. There was so much learning that took place too. 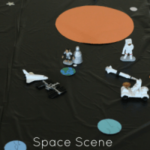 Initially, I planned on doing this on a table, but I couldn’t find any potted grass to add to the table. So I ended up placing the bins near the grass outside. It still worked out well. Grass – I wanted to get some potted grass, but couldn’t find any in the two stores I checked, so we ended up doing this outside on the grass. 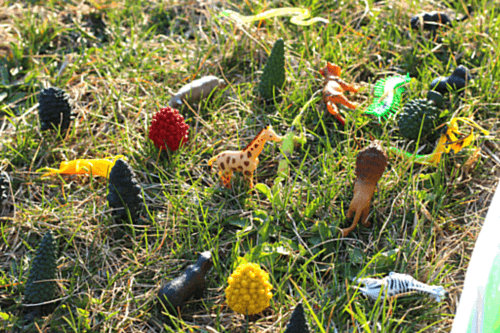 Plastic animals – any you have around your house will do. You can often find them at dollar stores as well. 1. 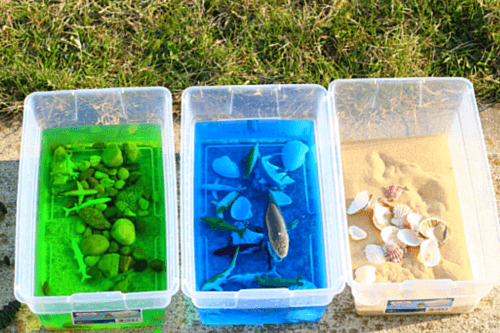 Fill one bin with sand and add some seashells. 2. 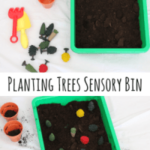 Fill two bins with water. 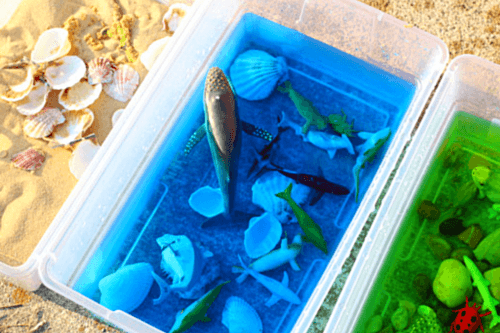 Add some blue food coloring to one bin and some green to the other. The blue water represented oceans and seas. The green water represented fresh water such as lakes and ponds. I also added stones to the green water. 3. Add your grass to the table or set the bins near some grass outside. 4. Add your animals to the area. 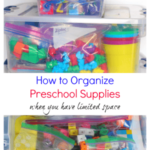 You can add them to the appropriate bins or you can leave them in a pile nearby and let the kids sort them to the appropriate location. I showed the bins to the kids and told them that they represented different parts of the Earth. I then explained that the blue water was the ocean, the green water was the pond or lake, the sand was for the sandy beaches and deserts and the grass was the land/forests/jungle/etc. First, we sorted the animals into the appropriate bins. We also added toy trees and animals to the grass. From there, the kids just had fun playing with the different animals and their habitats. Sometimes, my son would ask me a question about where an animal lives or why it doesn’t live in a certain place and we would discuss that. 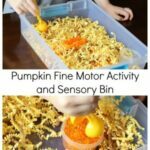 Both of the kids had a lot of fun playing with all of the sensory materials and all of the toys!